Mary Taylor Gurney embodies the spirit of Samford. An alumna, instructor, department of theatre and dance costume shop manager and graduate education student, she has endless energy and motivation to make the world a better place. Four years ago, a student named LaKim Young touched Mary’s life and she has been driven to pay tribute to a promising life cut short. LaKim danced into the hearts of many at Samford with his contagious creative energy and love. Mary decided she wanted to spearhead a scholarship in honor of LaKim that would provide an opportunity for other students in need. Her goal is to raise $25,000 in the next four years. Mary and her husband Ed made the commitment to contribute to this cause personally but also started a company called Funky Flowers to support the effort. Funky for Lakim who, she smiles and says, “was wonderfully funky” and flowers for her because she loves flowers. The business took-off this past summer creating tea towels, t-shirts, bags, and Turkish towels that all share a message of love. The items are available via shopfunkyflowers.com as well as Alabama Goods in Homewood. Each product carries a tag sharing the mission of the project “To plant a garden is to believe in tomorrow. Funky Flowers mission is to plant seeds of faith, hope and love through education. 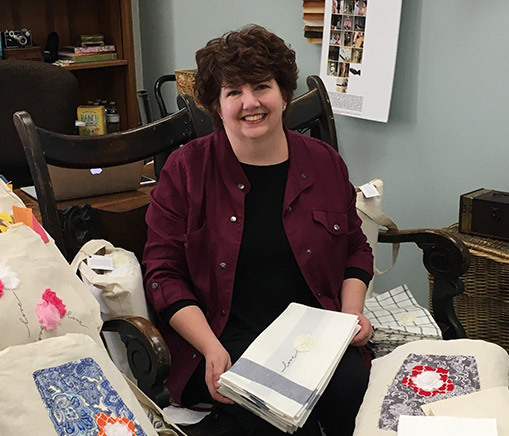 A percentage of every sale helps fund college scholarships in memory of our friend, LaKim Young.” Mary works with Samford students and volunteers to create the precious items and make this scholarship a reality. You can help by giving directly to the LaKim Young Scholarship Fund or you can purchase Funky Flower items. Contact Julie Boyd, jboyd10@samford.edu, advancement officer for the School of the Arts or Mary Gurney, mtaylor3@samford.edu for more information on how to give.